This morning, during a sunrise walk on the beach - taking in the view, collecting seashells, and sharing a moment with my mom, I had a quiet revelation. She and the dear friends she has made in her newly proclaimed home are like the seashells that wash upon the shores of South Hutchinson Island, Florida. They all had lives elsewhere. Each unique and beautiful in their own way. And now, after a transformation, the waves and shoreline drew them here. They found each other here on the coast - now neighbors and friends. They maintain their individual history and perspective (some very different politically), but they find new common ground - in part, by proximity, and, in part, by goodness of heart. Some arrive in pristine condition. Others are broken and worn by time or circumstance. As we walked, my mom and her friend, Barbara, scanned the beach for shells to add to their collections. "Oh, look at this one! I have a jar just for these," Barbara exclaimed. Mom replied, "they are all treasures." Mom likes the broken ones that look like conical vivisections. Some day they may become part of an art project. Until then, they will commingle in a glass jar - mementos from a treasure hunt past. Speaking of treasure hunts ... wherever I go, I am on the hunt for great food. After being tipped off by a local Stuart resident a few years ago, I have become addicted to the fish tacos at The Taco Shack in Stuart, Florida. There's no view (neither ocean nor intercostal), no table service, and no attitude - just delicious tacos and their compadres. My personal favorite is the Blackened Mahi Fish Taco. The fish is perfectly cooked and covered in crunchy cabbage and corn salsa. My mom prefers the Grilled Shrimp Taco, which is also excellent. On a prior visit we also shared a delicious Vegetable Quesadilla, seasoned with a hint of cinnamon, clove, and nutmeg. No trip to The Taco Shack is complete without Housemade Warm Corn Tortilla Chips with Queso, Guacamole, and Pico de Gallo (otherwise known as The Three Amigos). These go quite nicely with a cold Modelo Amber - one of a handful of beers on tap. But they are best shared with a friend - new, old, or related. The Taco Shack is located at 555 S. Colorado Avenue in Stuart, Florida. Open Monday - Saturday from 11:00 a.m. to 9:00 p.m. 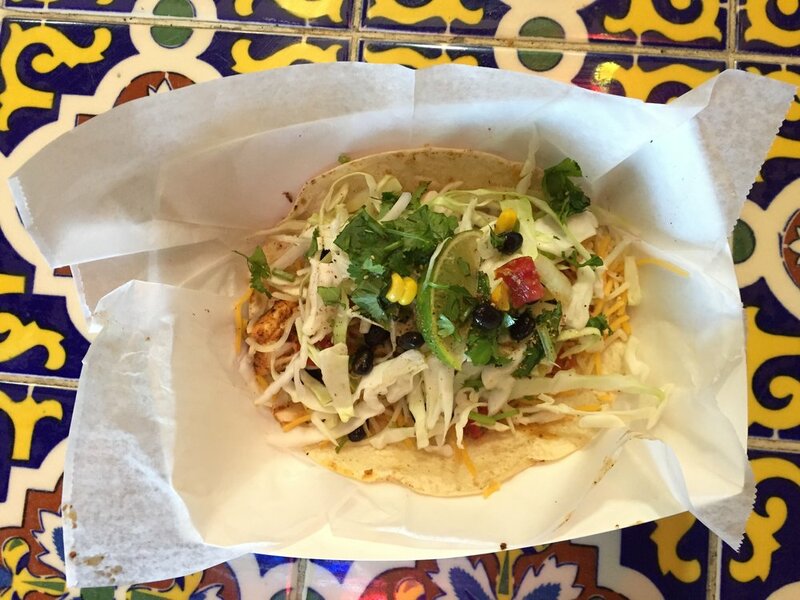 Pro tip: visit on Taco Tuesdays (two tacos for $10) or any day before 5:00 p.m. when Castronova Chocolate is open. Note on Thursdays and Fridays Castonova offers freshly baked chocolate chip cookies made with Irish butter and their delicious chocolate chunks.